You'll love them even more because they're all in the same place! (SPOT.ph) Christmas is a time of giving, sharing, happiness, joyfulness, and all that warm and fuzzy stuff. We Filipinos are so excited about Christmas that even when September rolls around, it's the "holidays" already! As a people, we've also associated Christmas with one more thing—eating! 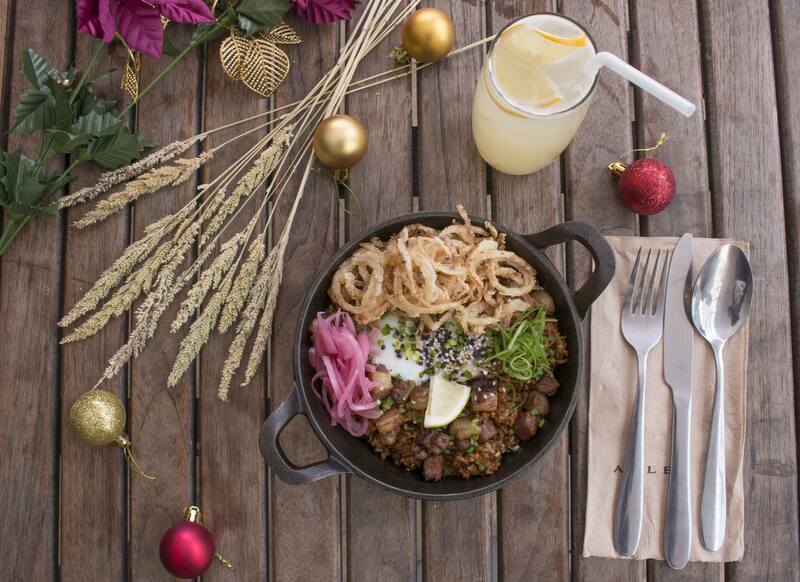 Food is a central part of every Pinoy gathering, but it takes on an extra special role during the Christmas season. Bellies get stuffed but while hearts get full, too. 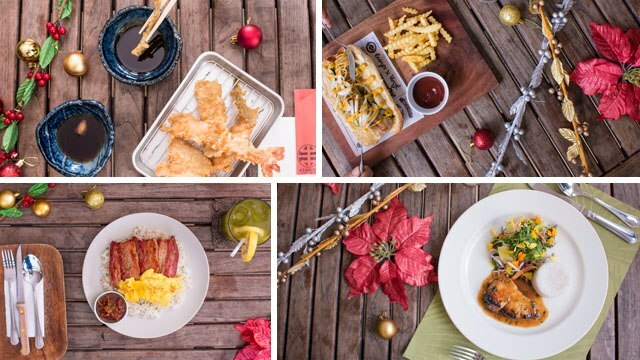 So for when the whole family decides to go out for a meal this holiday season, why not try these 10 chef-driven restaurants at The Grove by Rockwell's Retail Row. Alley is definitley more than just a great sandwich shop, so keep an eye out for the specials such as the Bistek Rice—savory beef cooked Filipino-style, over a bed of fluffy rice. It's a great dish to perk you and your loved ones up after a long night of Christmas reverie. Asakusa, named after a district in Tokyo famous for its tempura, is definitely more than just a tempura joint (though, you really have to try their tempura—it's fried perfectly to a light crisp!) 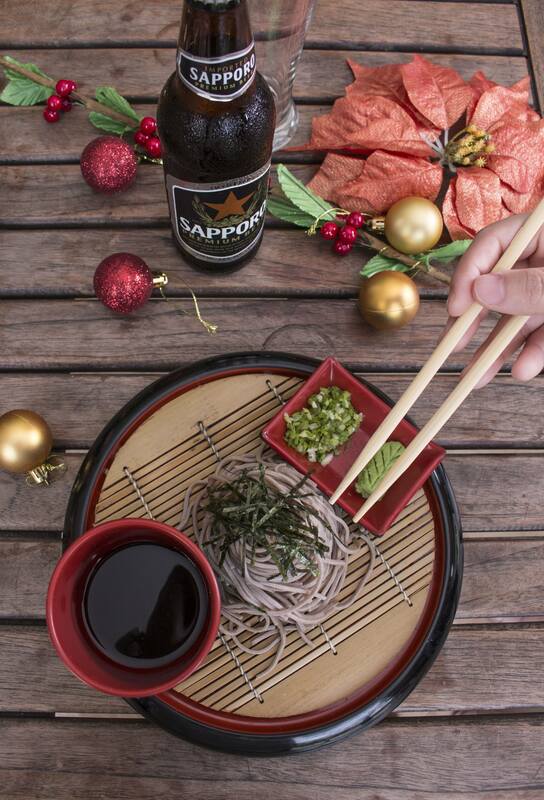 Try other Japanese classics like the Cold Soba for a light and refreshing break from all the traditionally-rich Christmas fare. 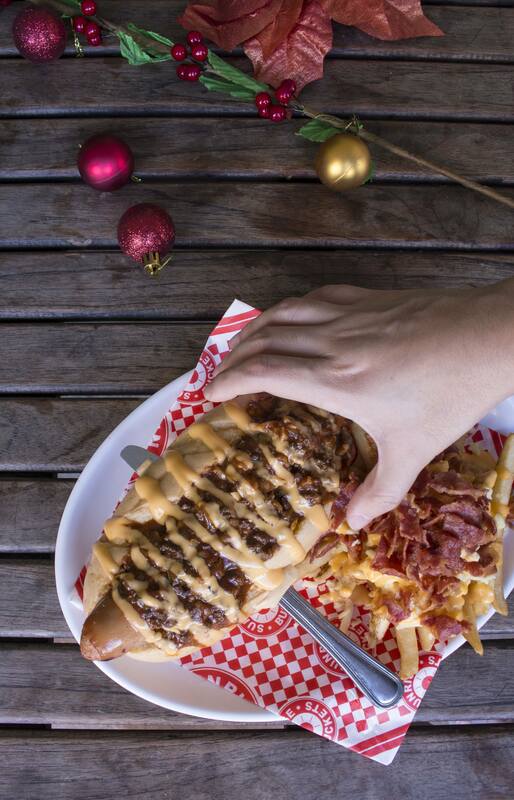 It's all about fun food at this joint, so you surely won't be starved for choices at Backyard. 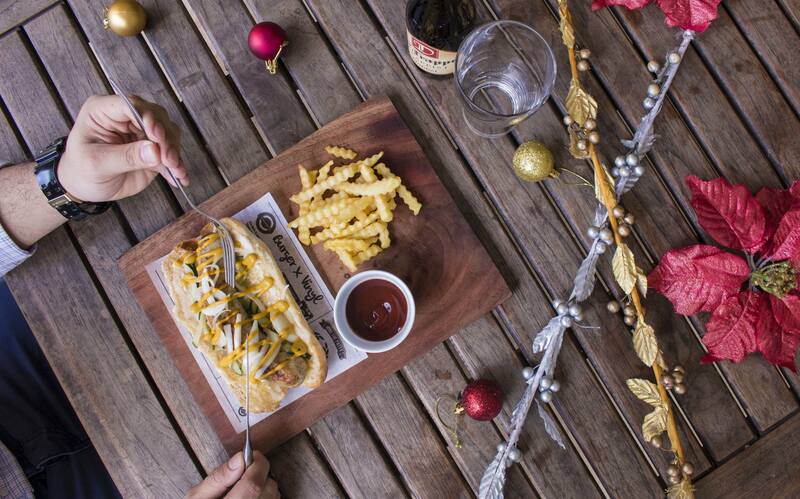 While the place is popular for its selection of local craft brews, it's also a place that serves food perfect for sharing during this holiday season. 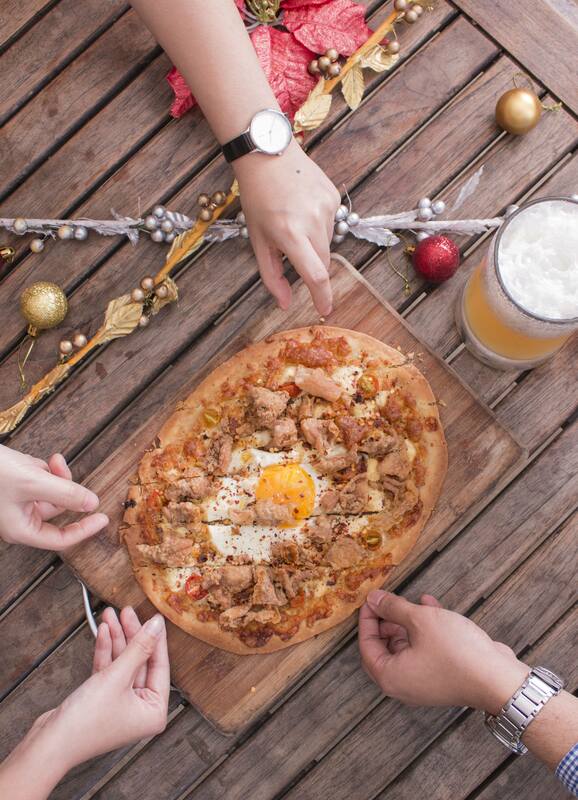 Try the Salted Egg Chicken Skin Garlic Flatbread and experience a festival of flavors in your mouth! There's never a wrong moment to sink your teeth into a nice, juicy burger. And you can bet on getting just that at BurgerPub. But while the burgers are great, make sure you also try some of the sausages on their menu. Up for something more fancy? Head on over to Chef Jessie for a fine dining experience headed by one of the country's top chefs. 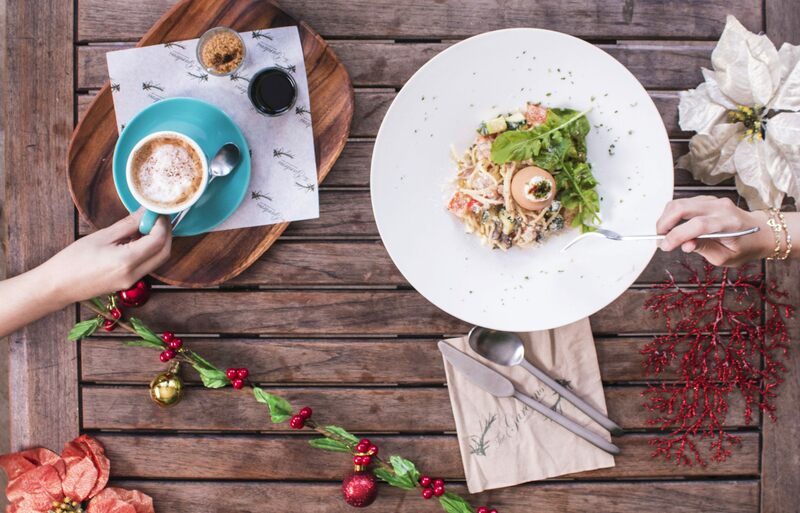 Get the whole family dressed in something nice and head over to Chef Jessie for a classy Christmas lunch or dinner. Long night and still a bit woozy from all the fun and good cheer, accompanied by certain happy "spirits?" 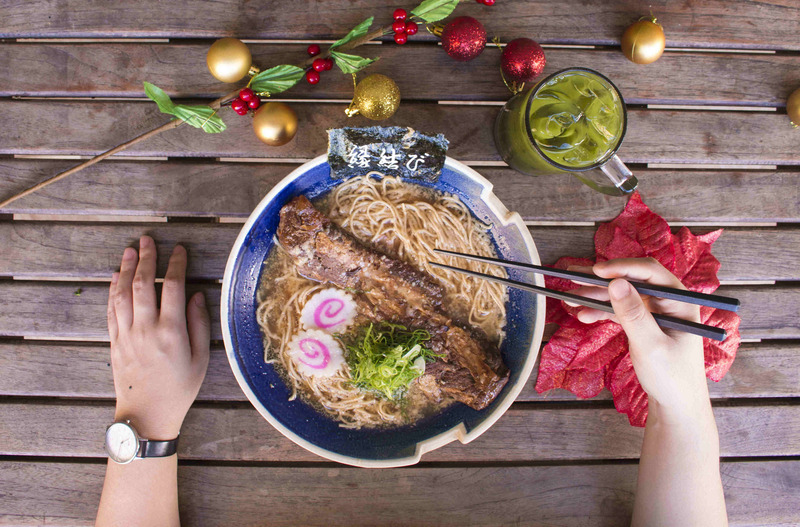 Sip rich and tasty broth and slurp up perfect noodles at Hanamaruken and get re-energized for another party! 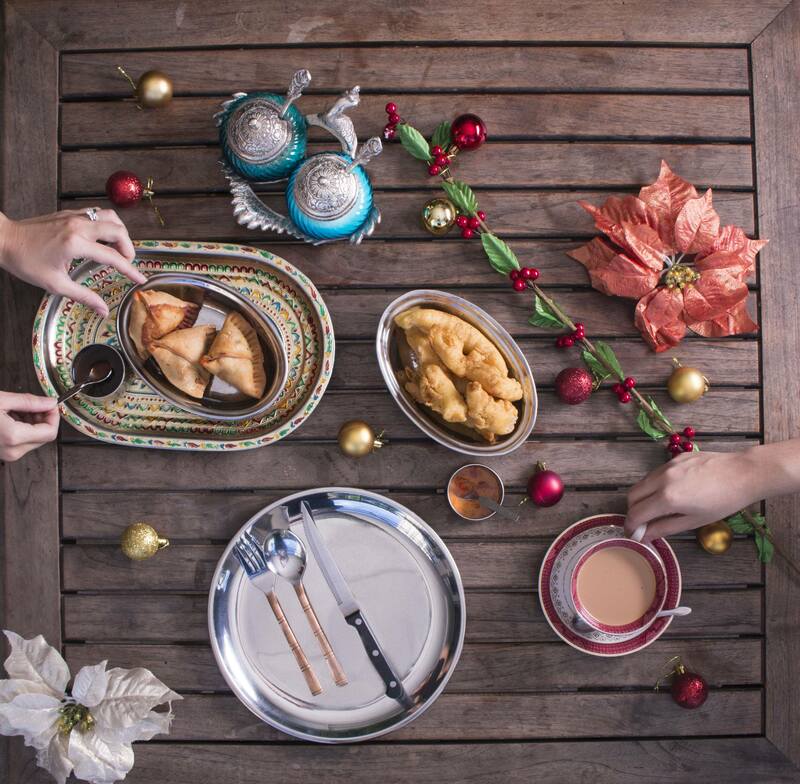 Shake your Christmas flavors up a little bit by visiting OM Indian Kitchen. Serving traditional Indian staples such as Samosas, Amritsari, Roti, Naan, and others, OM offers food with bold flavors perfect for this festive season. 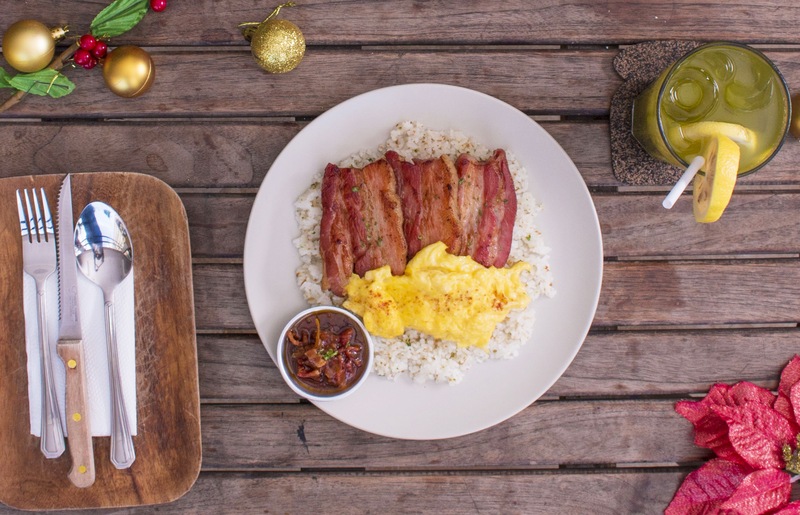 How does a hearty breakfast of thick-cut bacon with eggs over a bed of fluffy garlic rice sound to you after a night of partying? Sounds pretty good, right? Actually, that sounds really good any time of the day! Start any part of your day right by having a bit at Pi. Known mostly for their chicken wings (buttery, crispy, and fried to golden brown perfection), Sunrise Buckets has a few other items that are sure to surprise. The chicken and waffle combo is a great to start any day, and the sloppy chili dog is a great snack for while you and your family are out. 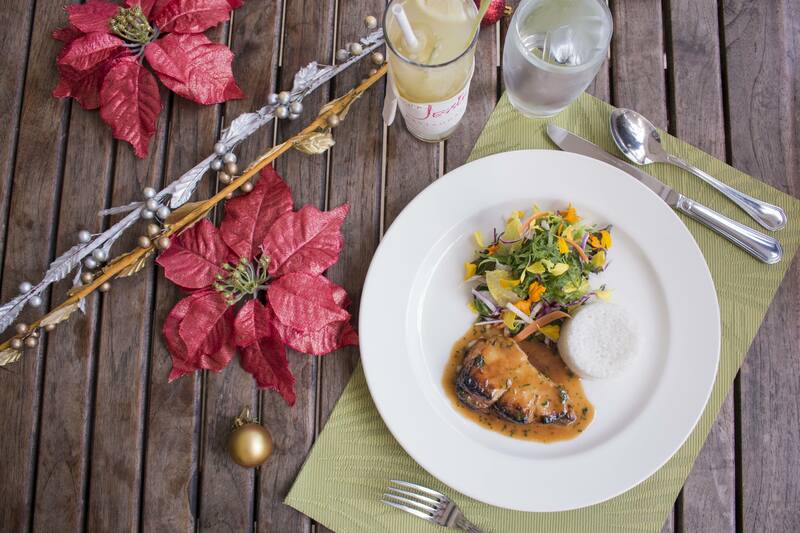 Because lots of food will be rich and decadent this Christmas, change things up a bit and get a light and healthy meal from The Gardens. And don't have any doubts: this healthy food, bursting with flavor, will have you thinking twice about how vegetables can be cooked and prepared. 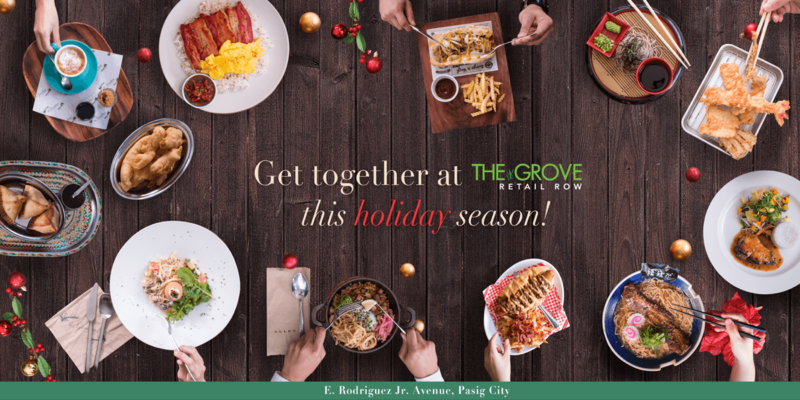 To know more about the gastronomic treats at The Grove by Rockwell, visit their Instagram and Facebook accounts, and visit their official page here. This article was created by Summit Storylabs in partnership with The Grove by Rockwell.